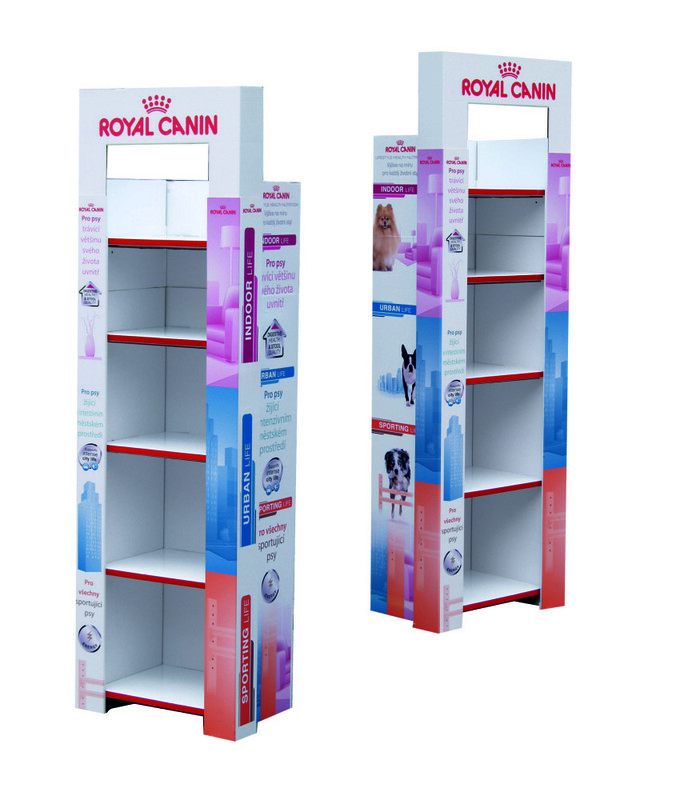 Both one and double sided available. 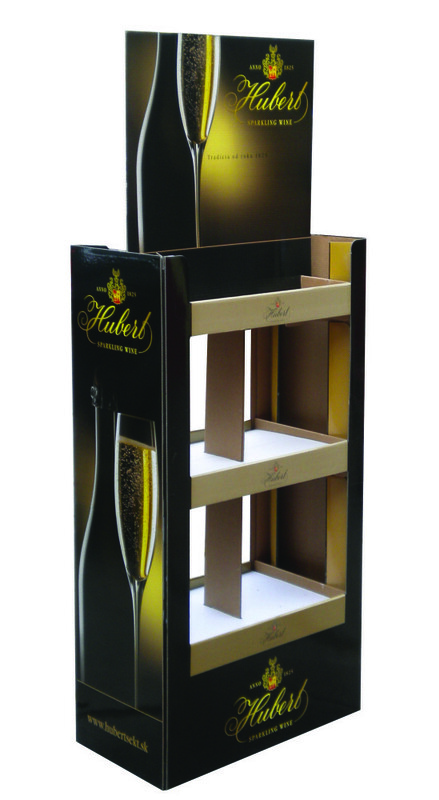 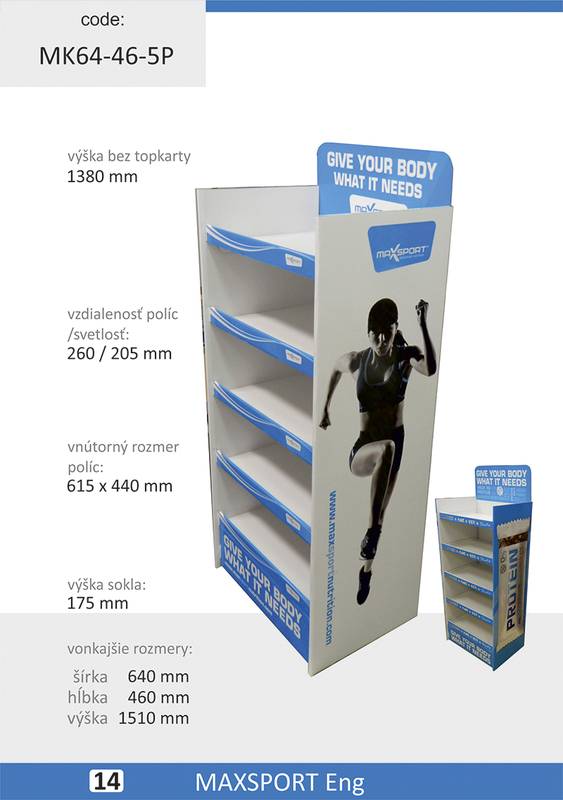 Our creative department designs the best possible solution of a cardboard stand for a client, based on a nature of the product. 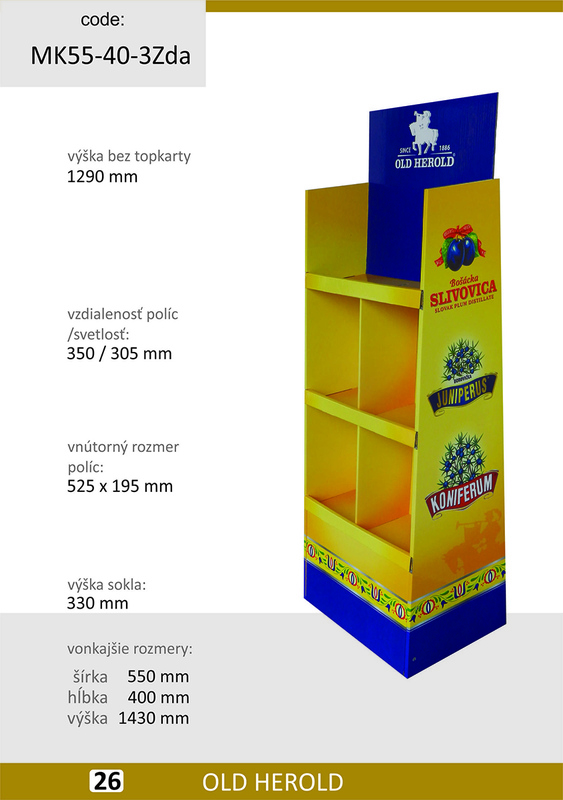 At first, initial blueprints of the stand are developed. 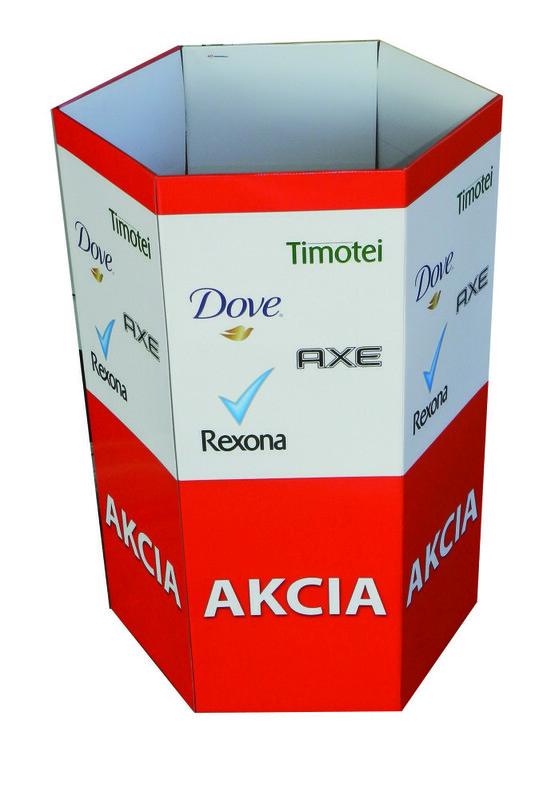 After the basic shape is agreed on, the stand is visualized in a 3D program. 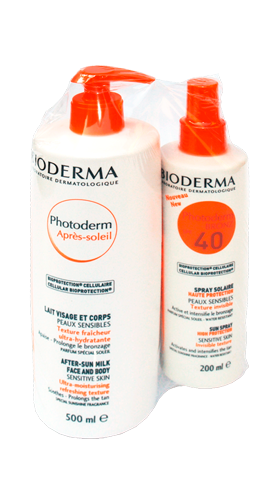 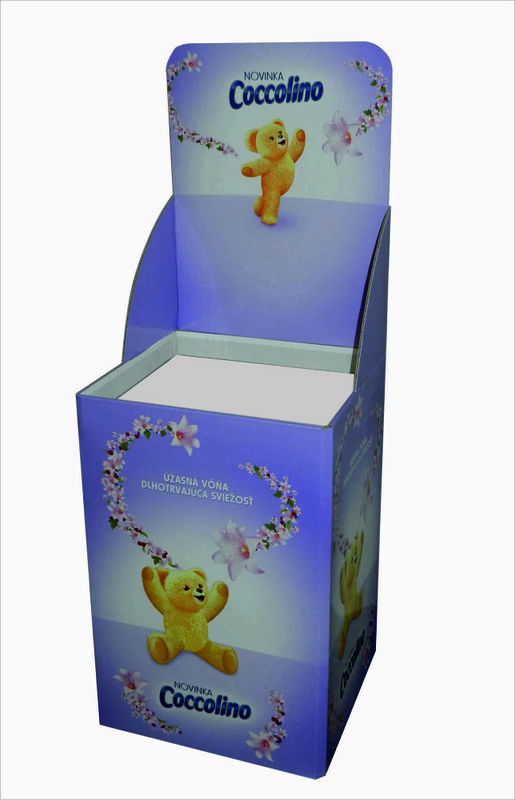 Subsequently an identical sample is produced for testing purposes. 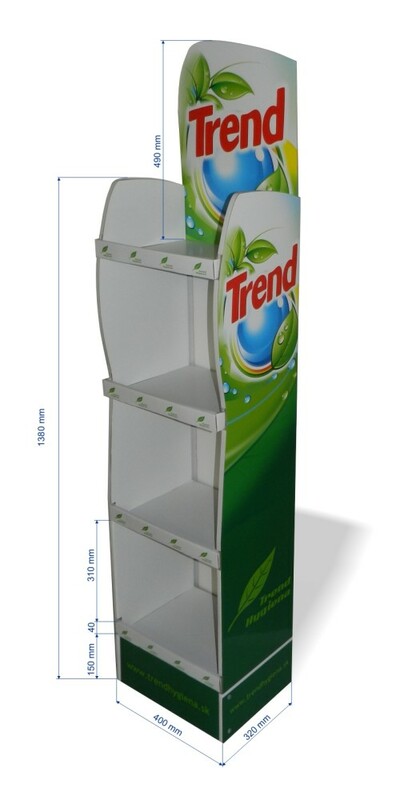 After its clearance by the client and tune up of all the details, the stand is introduced to a serial production. 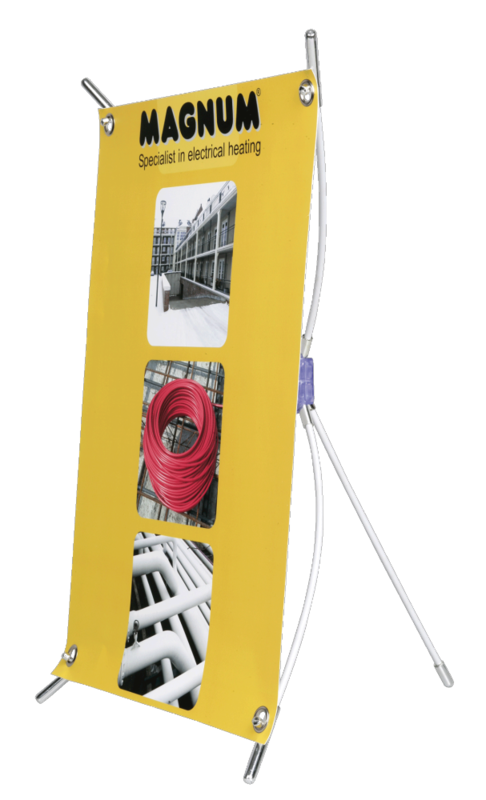 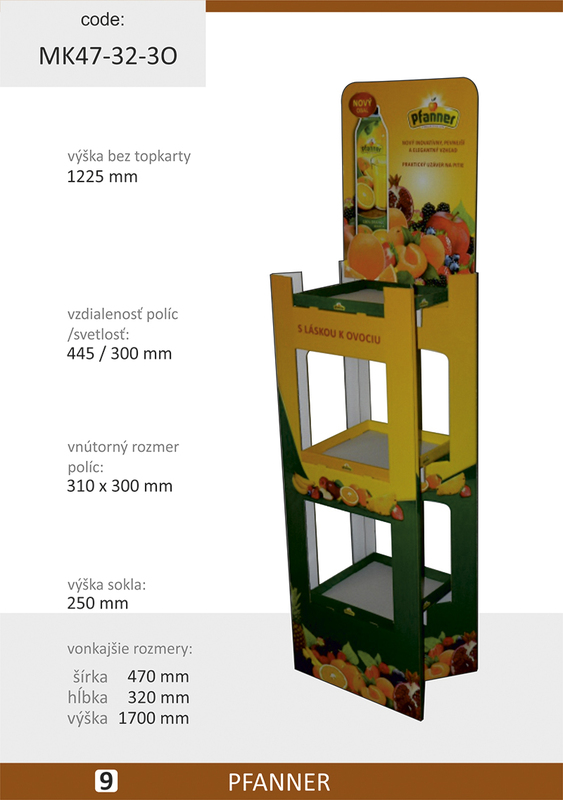 Full-colored laminated print with support legs or with a suspension system. 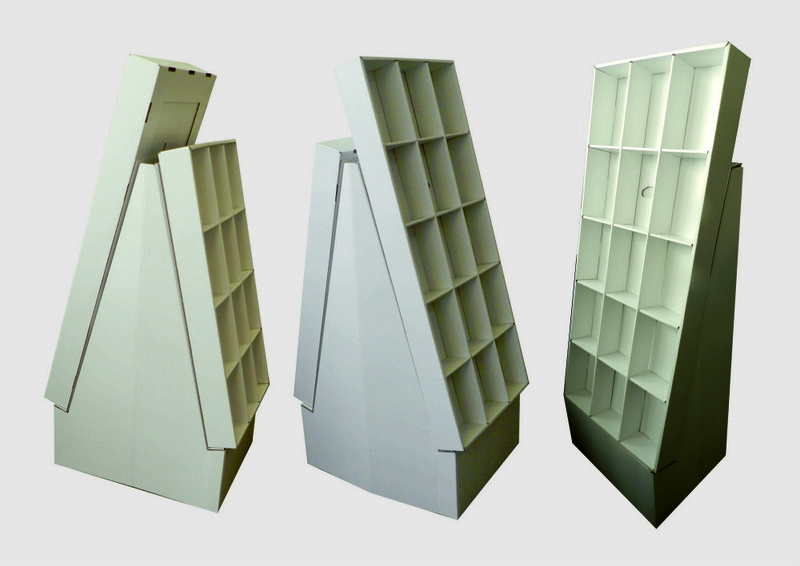 Material: Sinuous/full cardboards. Max. 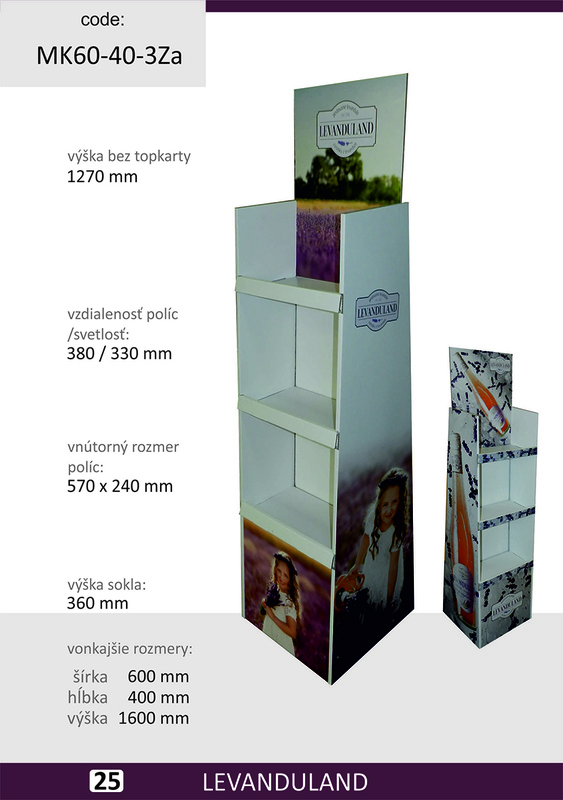 size 1000 x 2000 mm. 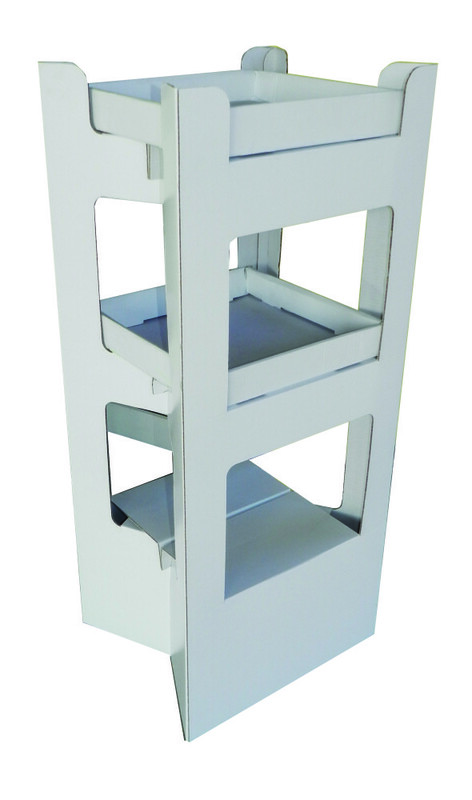 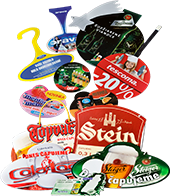 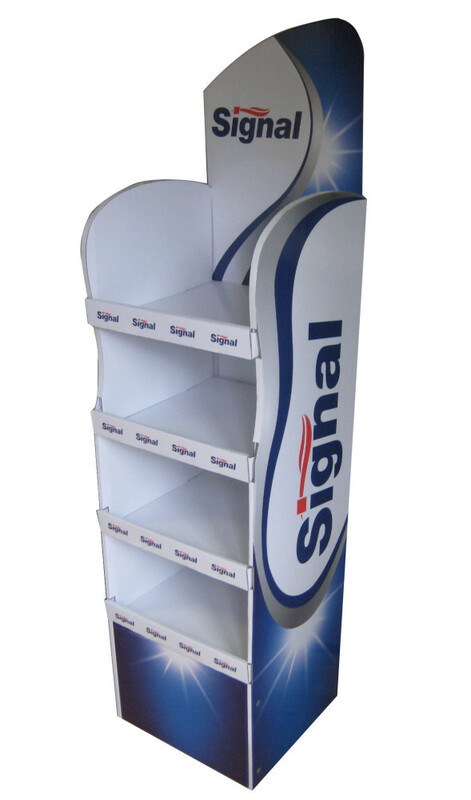 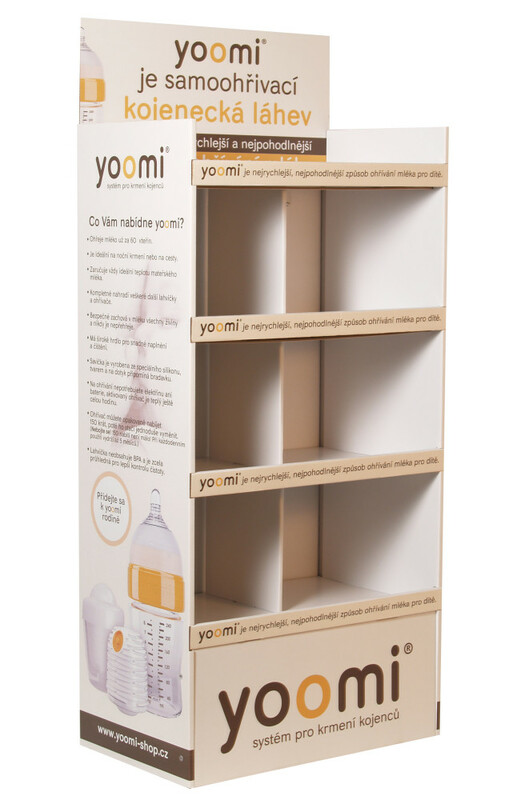 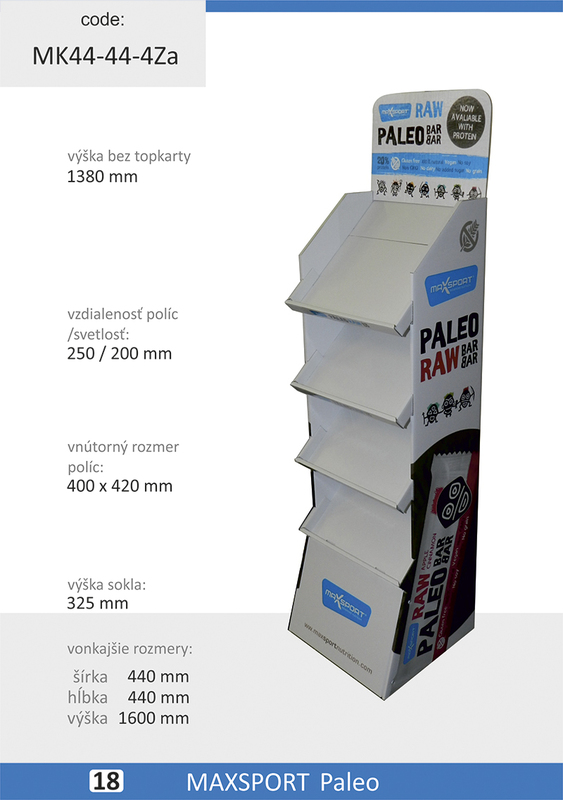 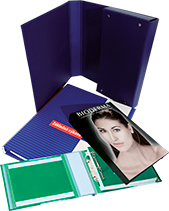 POS displays, respectively cardboard stands, are made on a basis of client’s idea and requirements (to what purpose will the stand be used, where will it be placed, what weight should it withstand, etc.). 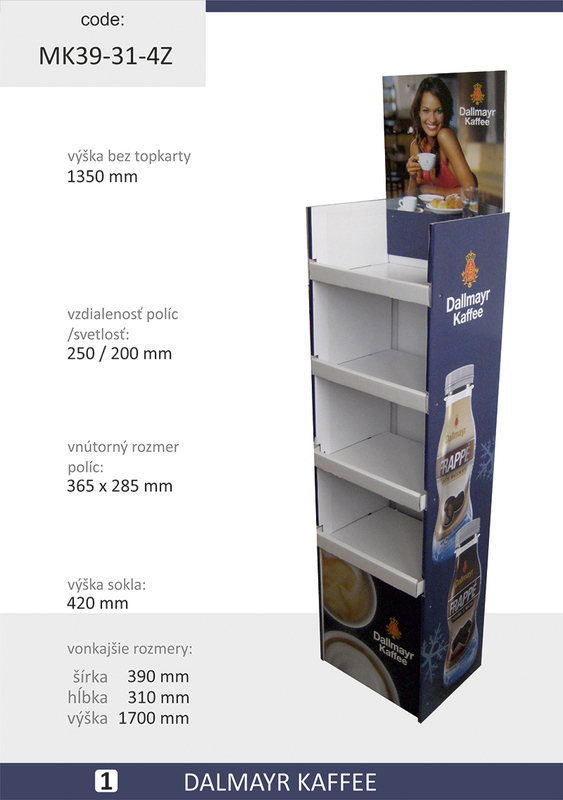 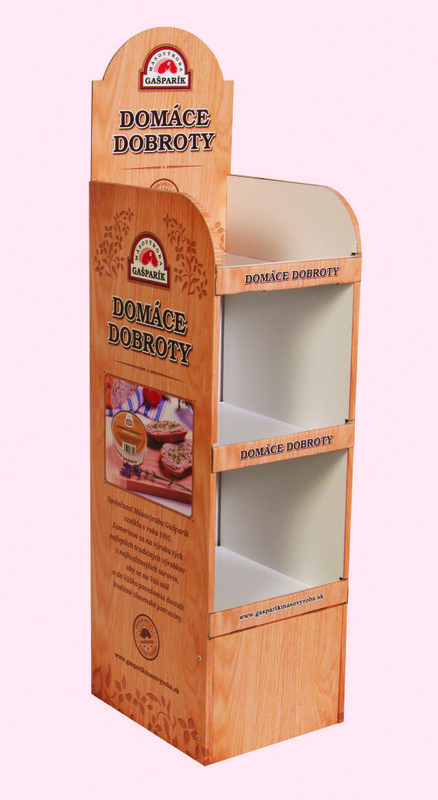 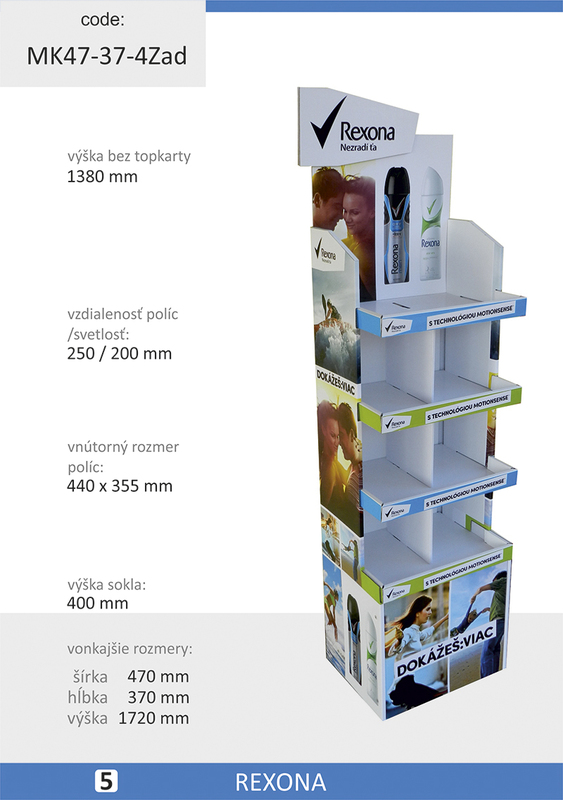 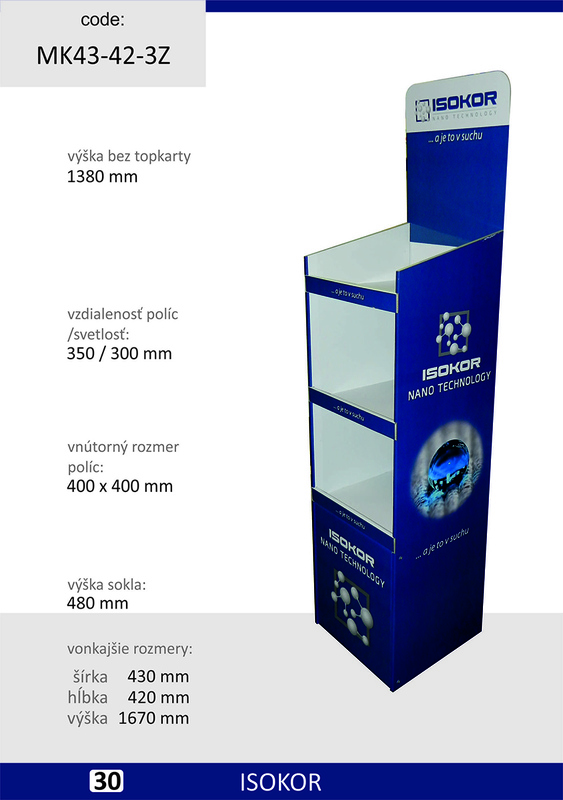 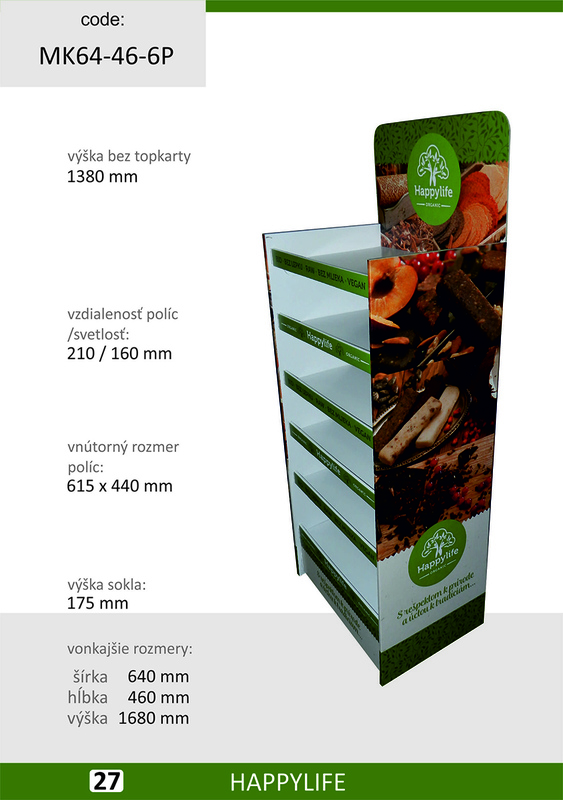 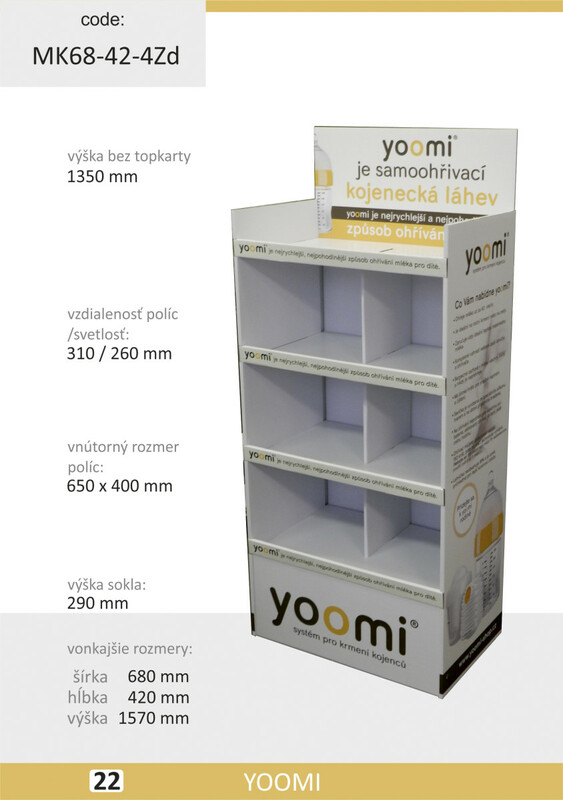 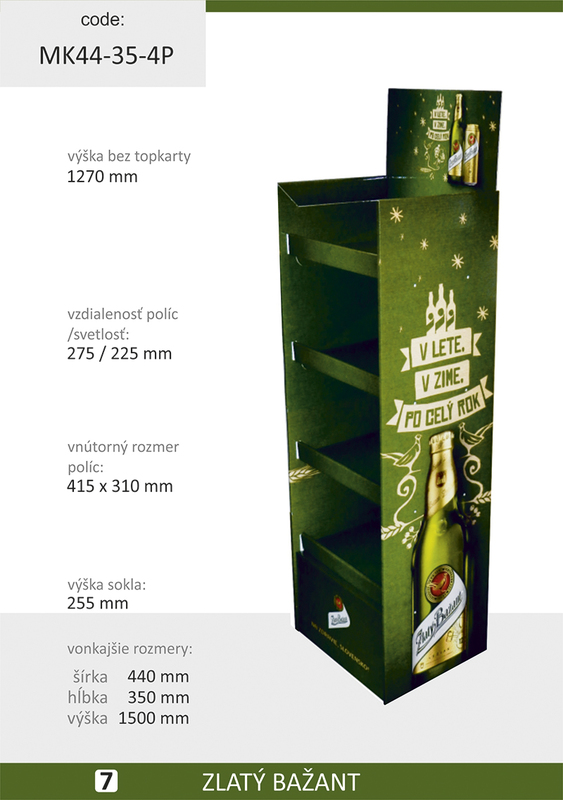 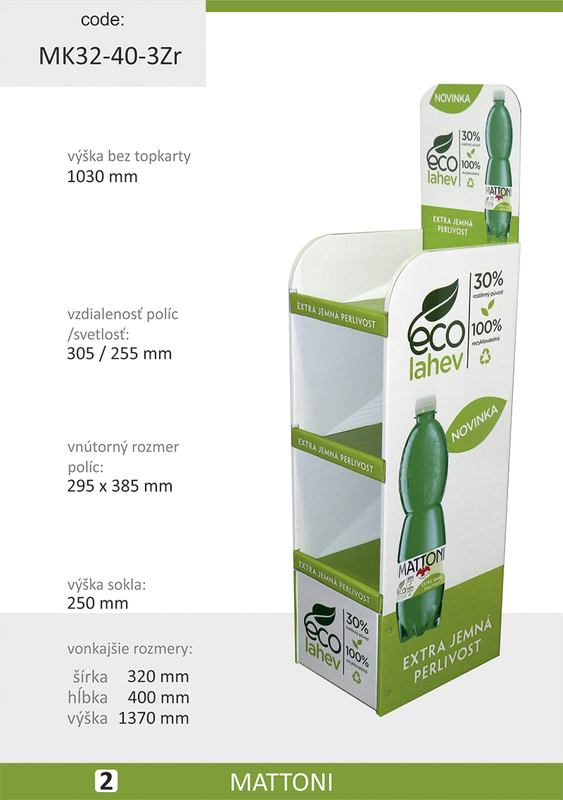 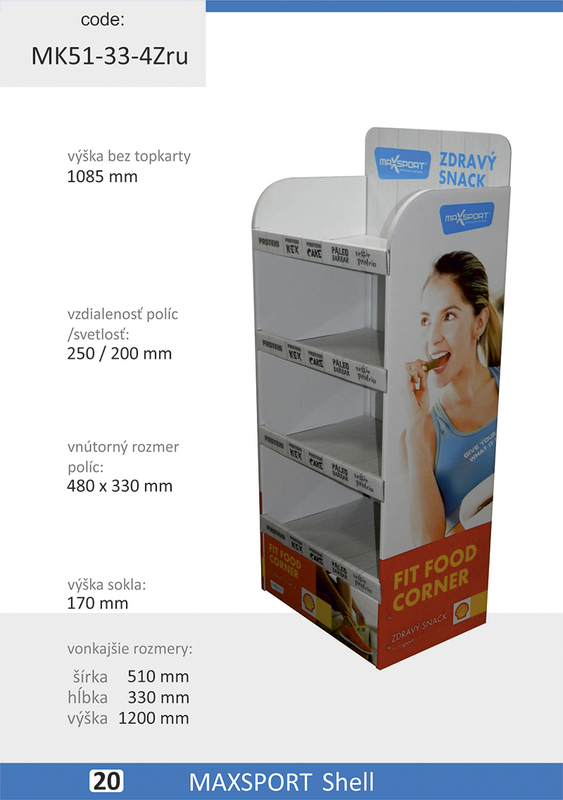 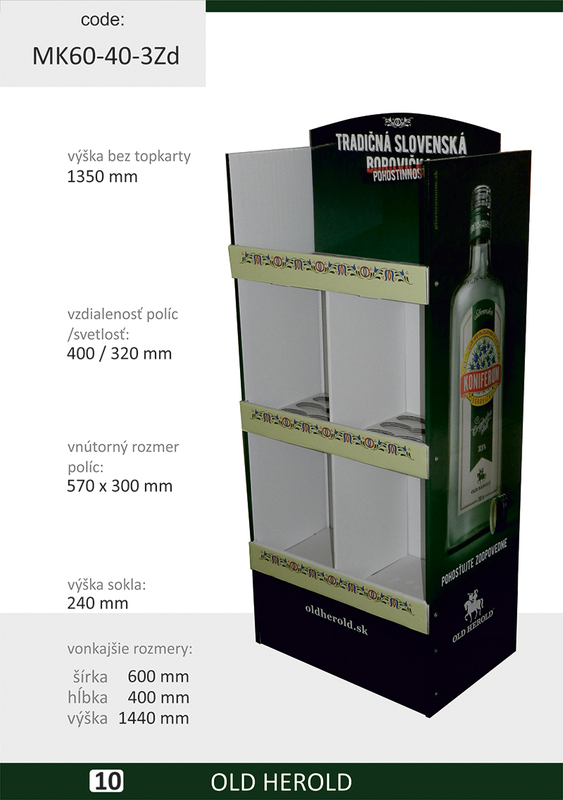 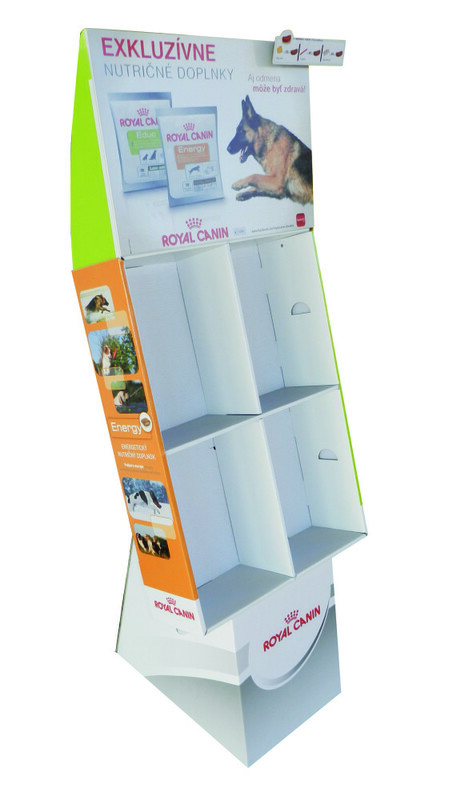 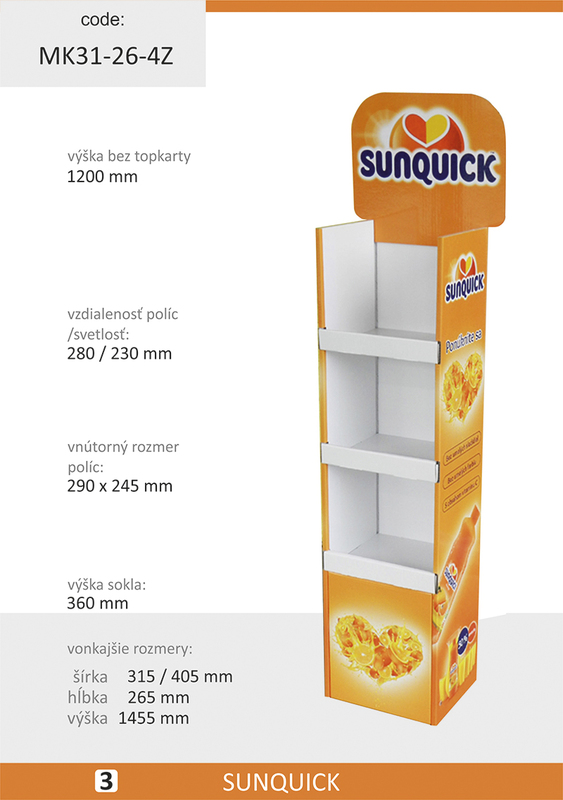 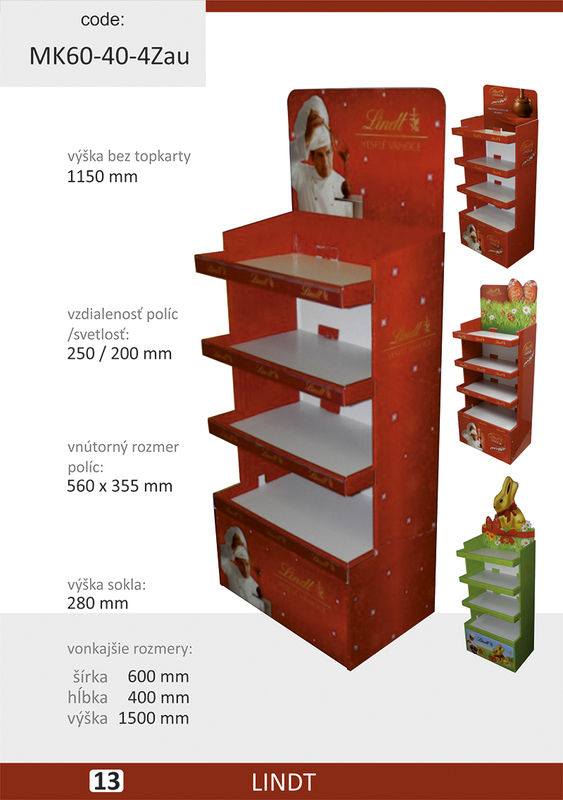 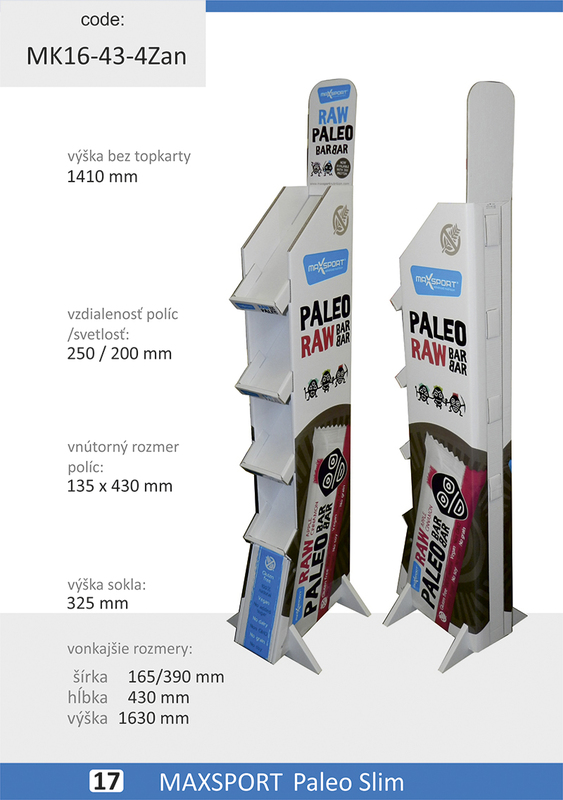 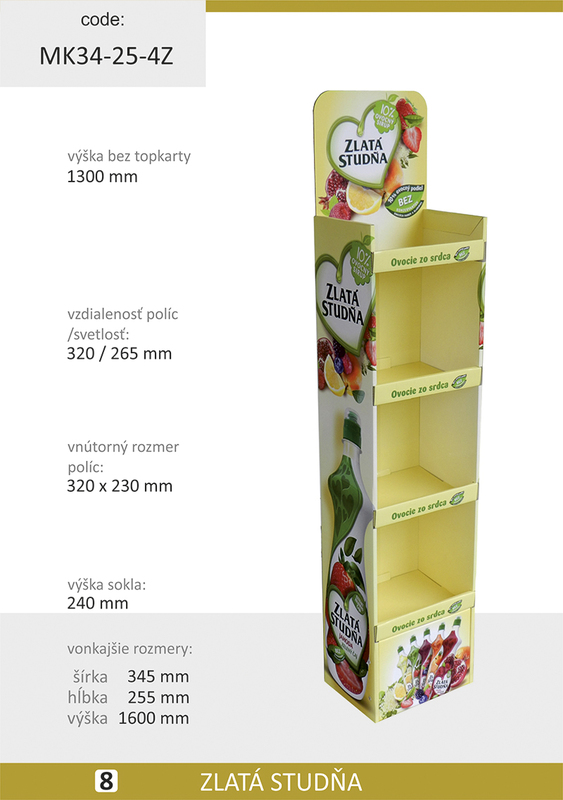 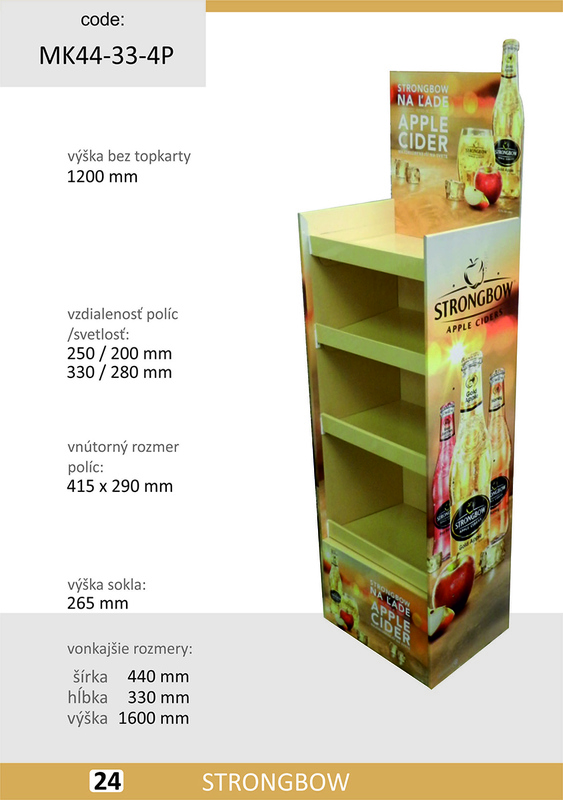 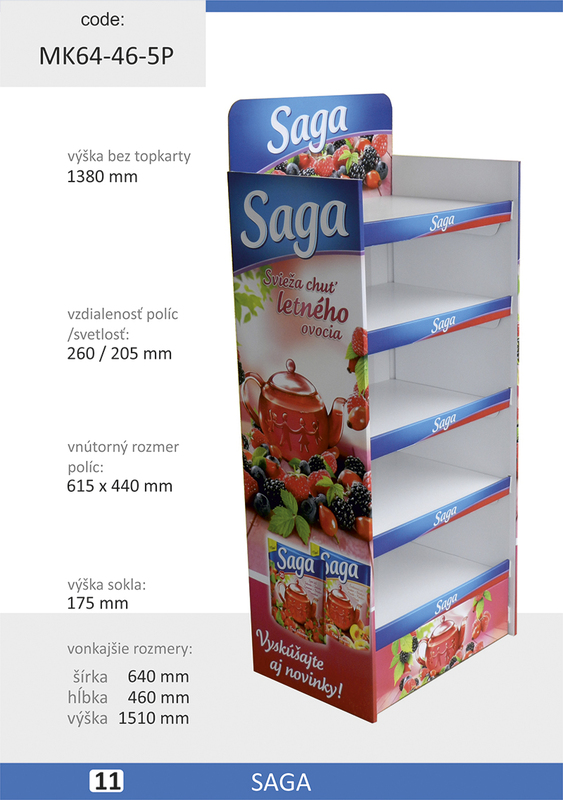 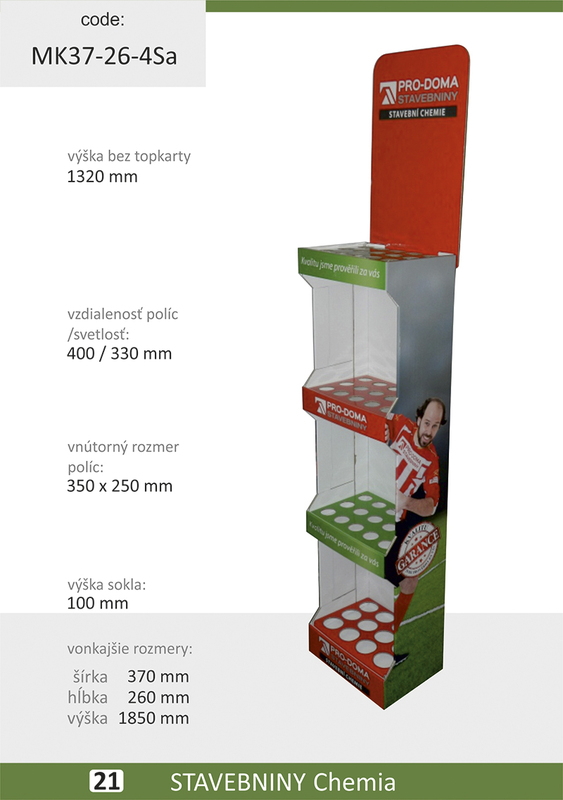 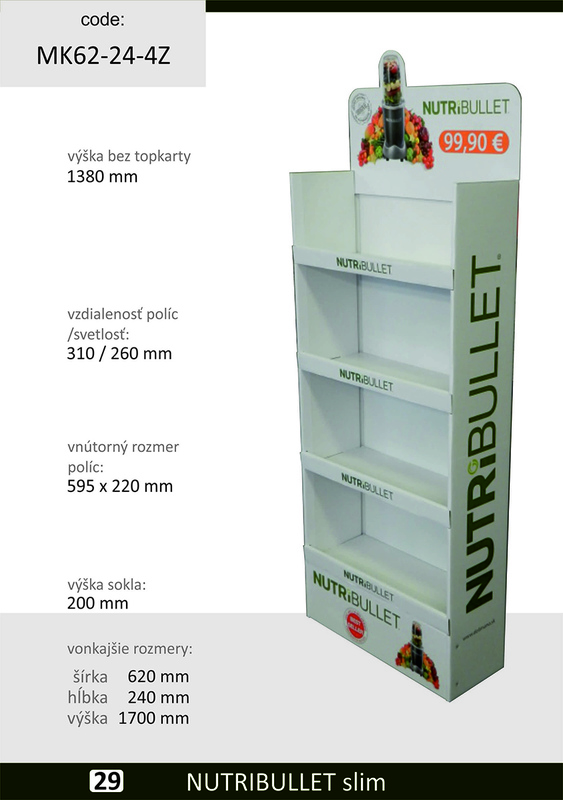 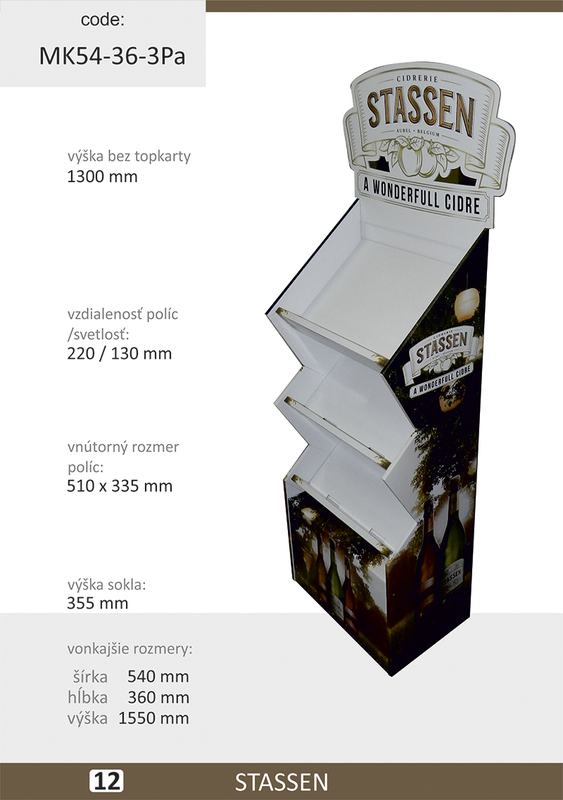 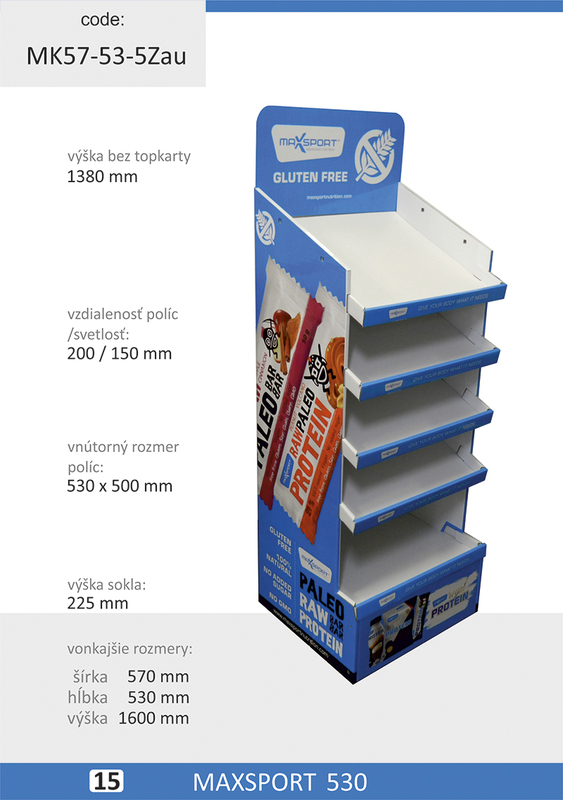 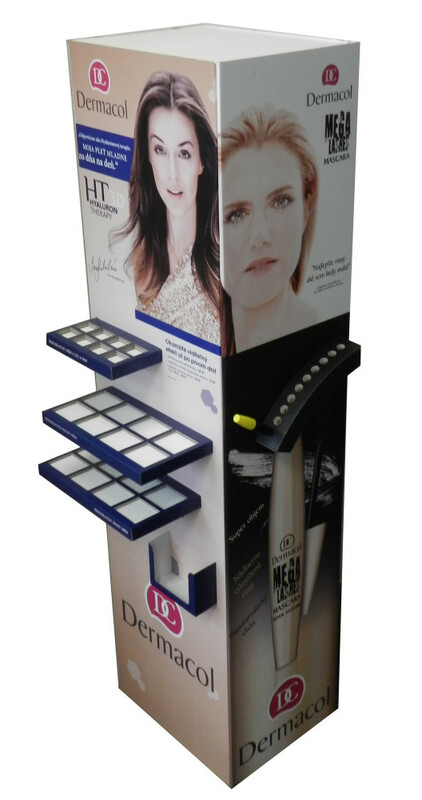 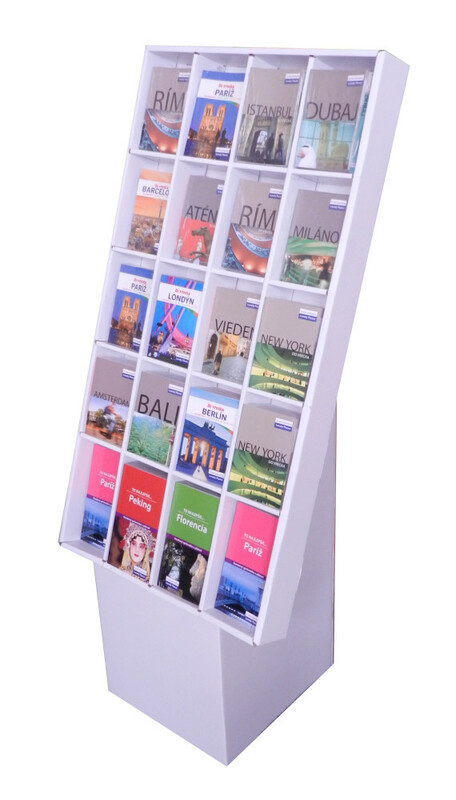 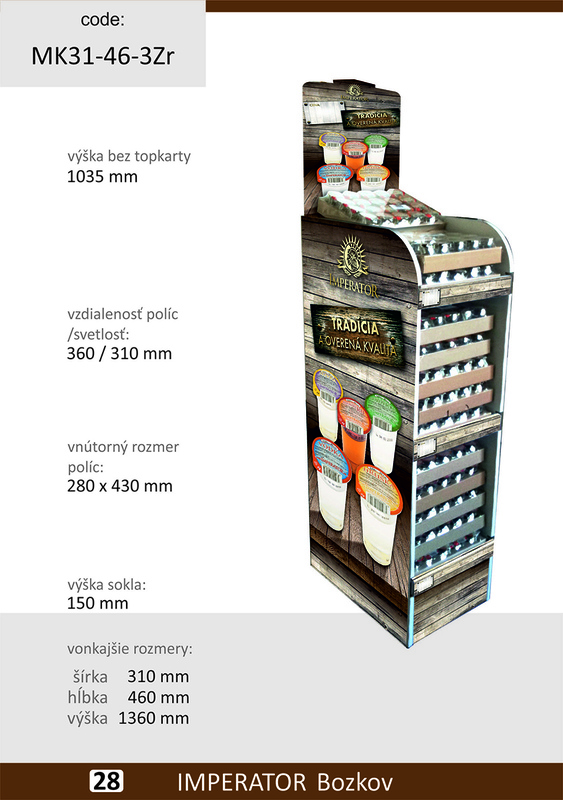 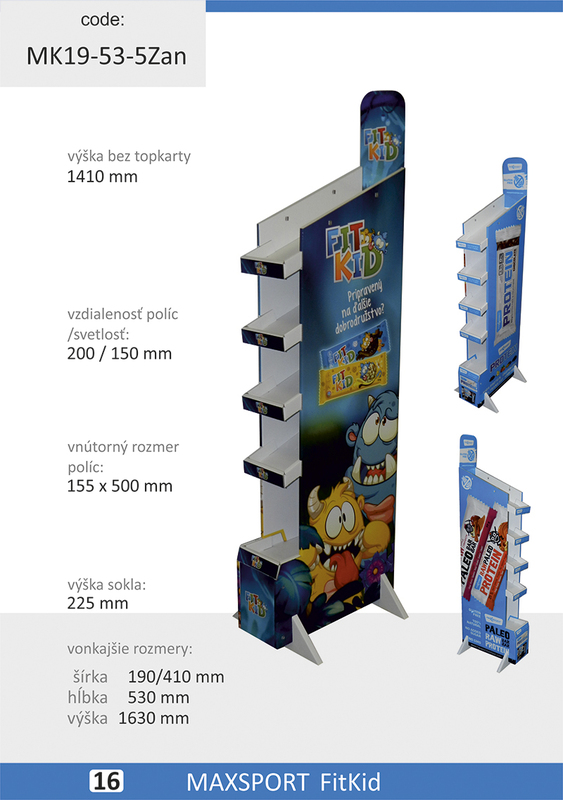 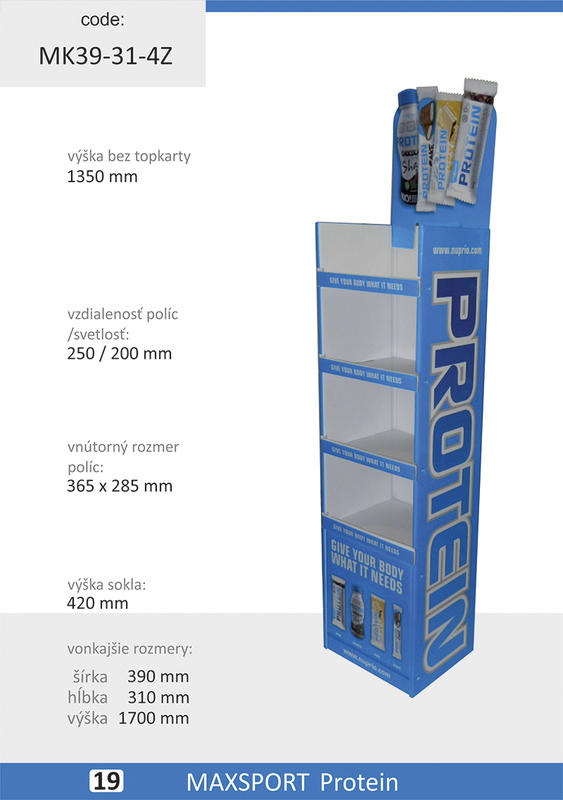 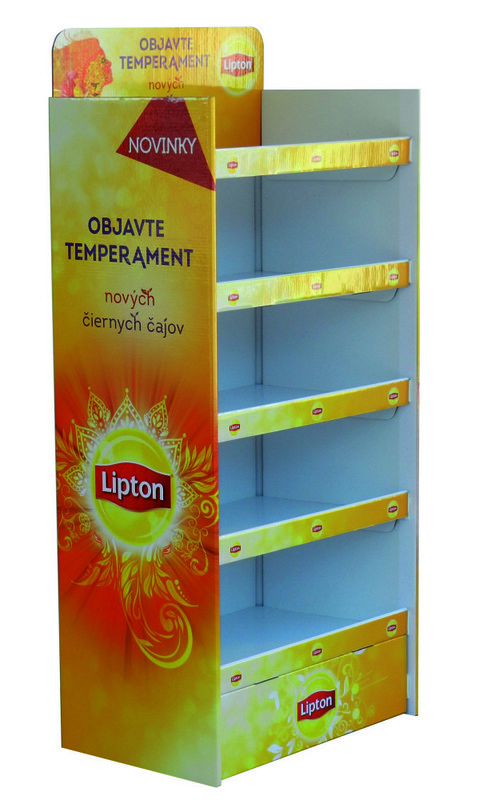 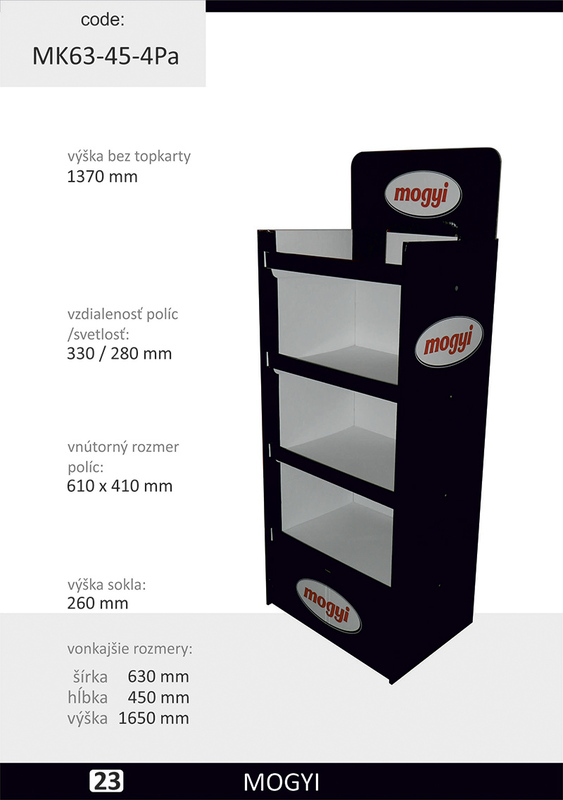 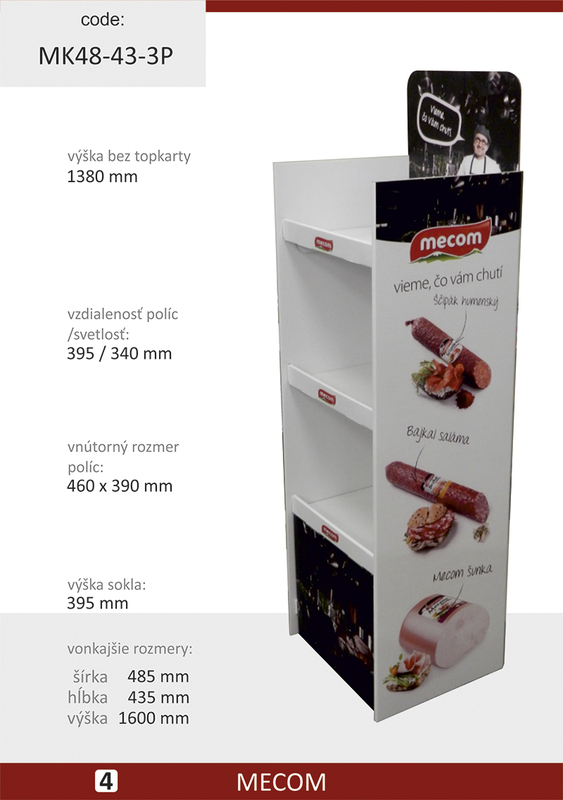 It is possible to produce both small and large displays, up to 198cm.